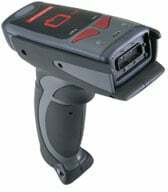 The Microscan MS-Q Basic imager's advanced "dual decode zone" technology allows the user to easily capture 2D symbols and linear barcodes at varying distances, from 2 to 20 feet. Lightening fast processing speeds add to the MS-Q Basic's ability to acquire and decode multiple symbologies within seconds of each other. All MS-Q Basic imagers feature point and click targeting with a red laser spot to quickly center the symbol in the field. Three configuration options (Cabled, Batch and Bluetooth) allow effortless connectivity. It has worked perfectly product line is moving smoothly. The Microscan FIS-6150-0028G is also known as Microscan Systems	FIS-6150-0028G	or FIS61500028G	.